When Final Fantasy XII: The Zodiac Age released this summer it came with a new set of PSN trophies instead of the game’s original, unique achievement system. Square Enix announced earlier today that the feature will be returning with the game’s November 22 patch 1.04. While some people were no doubt hoping for new content to get announced, the Sky Pirate’s Den is nothing to sneeze at. It introduces a new menu option that takes the player to a retro-style room which slowly fills up with new pixelated sprites as you hit various benchmarks in the game. 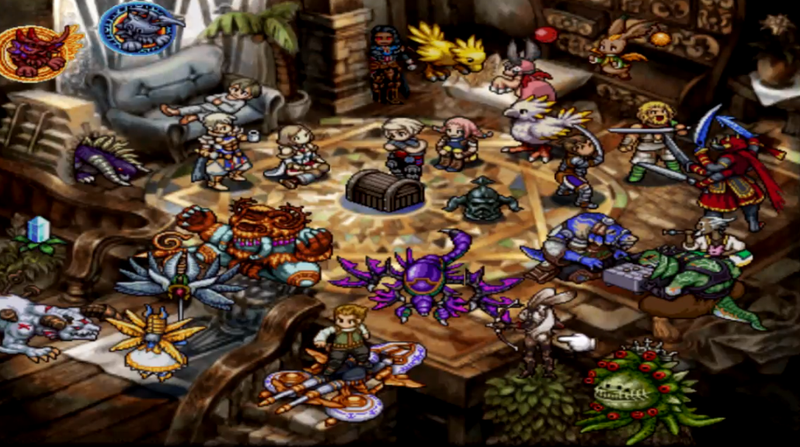 Attacking 300 times bestows the Assault Striker title and a Balthier sprite for instance, while spending over 1,000,000 gil adds the moogle Hurdy. The PS2 didn’t have its own achievement system. Sony didn’t add trophies until PS3. As a result, games that wanted to sprinkle awards on players had to come up with their own methods. Final Fantasy XII was an especially good game for achievements because of the world’s scale. When you collected one of the sprites for your Pirate’s Den it actually felt meaningful and was a nice way of tracking your progress through the game’s JRPG sprawl. Final Fantasy XII had one of the hardest optional bosses in the whole series. One of the most coveted sprite trophies of all was Yiazmat, one you could only get by defeating the boss of the same name. At over 50 million hit points that was no small task. I tried once and he killed me in under an hour (the fight takes several). Maybe this time I’ll finally beat him.